Santa Monica is the kind of place that people from all over the United States -- and even all around the world -- think of when they think of California. As the home of so many Hollywood celebrities, everything here has to be at its best. The houses are spectacular, the surroundings are gorgeous and the whole environment is breathtaking. Yet, air is not a luxury. Luxurious or not, homes must be well cleaned from the polluted air caused by air ducts, which are rarely maintained. Consider Santa Monica air duct replacement, if the air dust in your home or business is getting thick enough to chew! We will work with you to evaluate the source of your problem and get it completely under control. We provide all the services you’ll need, including a full diagnosis, air quality testing, cleaning, repair, and replacement. 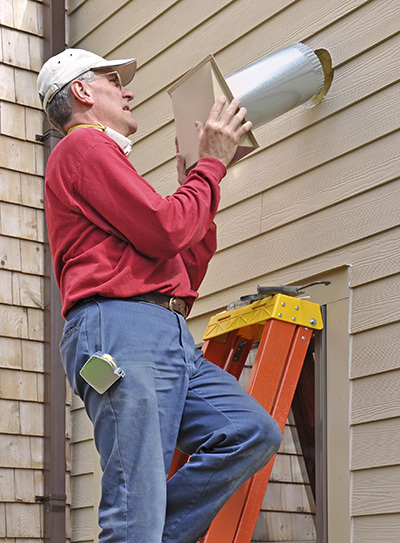 Santa Monica air duct replacement is the ultimate solution to most air quality problems. Although, we can repair your ducts, they may become inefficient as they age. They may simply break down, or sustain permanent wear that can’t be addressed with even a very thorough cleaning. In this case, we recommend replacement. Replacement will not only boost the quality of your air immediately, but also result in lower repair bills in the future. Our certified and experienced technicians will ensure you get the most durable and advanced parts. The newest duct parts can even repel the kind of dirt and toxins that plague older air duct systems. Our people will examine the air ducts and they will detect the problems. If the damage is irreparable, they will proceed with air duct replacement efficiently and quickly. In some cases, they only need to replace the air duct filter and engage on a thorough air duct cleaning. You can rest assured that they will not leave your premises without making sure that the work is done with precision and without conducting a detailed air quality testing to ensure that you can breathe fresh and healthy air. Whether you need Santa Monica air duct replacement, repair, or cleaning, you should trust the air you are breathing to the absolute experts. We’ve worked with some of the most prestigious businesses around the Santa Monica area -- and even for some of its more famous residents. We’ll work around your business or home schedule to make sure that your day is never disrupted. Plus, we can provide same-day emergency service that will leave you breathing easier -- and leave your premises as good as new.